Driving with a suspended license is an extremely common traffic offense. According to recent studies, approximately 75 percent of all suspended drivers continue to drive without a valid license. 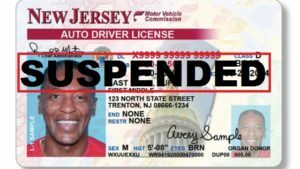 There are many reasons why a driver’s license could be suspended by the State, including failure to comply with a child support order, being convicted of underage drinking, failure to pay a non-moving violation, fraud or misuse of a driver’s license, and possession of controlled substances in a motor vehicle. Regardless of the reason, driving with a suspended license is a serious traffic violation which could have a devastating impact on your future. If you or a loved one has been charged with driving with a suspended license in Dover, Boonton, Rockaway, East Hanover, Mount Olive, or elsewhere in Morris County NJ, it is important to speak with an experienced New Jersey traffic defense lawyer who understands the system and can help minimize your exposure. The criminal trial team at the Tormey Law Firm has extensive experience defending clients in Morris County NJ courtrooms and we are ready to begin building your best defense. Contact our Morristown offices today at (908) 336-5008 for a free consultation. License Suspension: Up to six (6) months. License Suspension: Between one (1) year and two (2) years. Jail: 10 to 90 days in the county jail. Jail: Between one (1) day and five (5) days in the county jail. Jail: 10 days in the county jail. The penalties for driving with a suspended license can be severe. The criminal defense team at the Tormey Law Firm has extensive experience representing clients with various criminal and traffic offenses. We have successfully handled thousands of cases in New Jersey, in both superior court and municipal court. We also have a former Morris County Municipal Prosecutor on staff, which gives us unique insight into how to help you beat your charges. We will work with you to craft you the best defense strategy for your specific case. If you or a loved one has been charged with driving with a suspended license in New Jersey, contact the Morris County traffic lawyers at the Tormey Law Firm anytime at (908) 336-5008 or through our online form for a free consultation.